While Samsung is Android's biggest OEM, it's no secret that the company has been working feverishly on its own Linux-based mobile operating system Tizen for quite some time. And now, with Tizen-powered smartwatches and phones coming later this year, it looks like the OS is almost ready for prime time. According to a report from Ars Technica, Tizen looks like a "pretty accurate" Android clone. 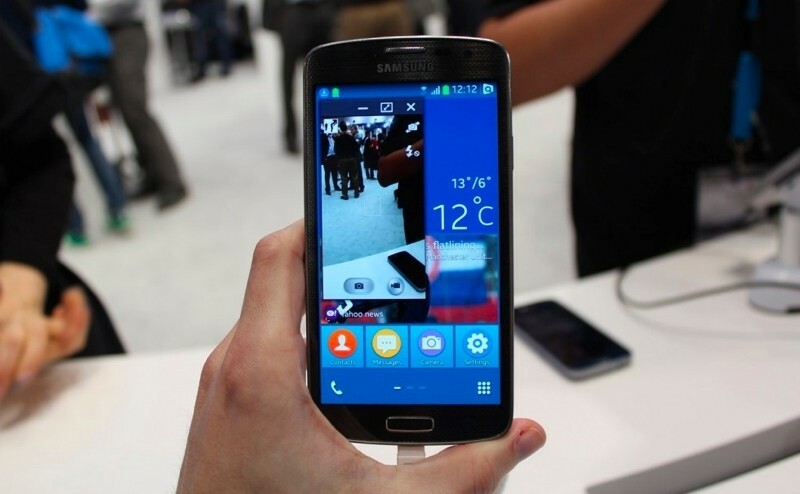 They got a chance chance to hands-on test Tizen on a prototype device at Mobile World Congress. The similarities include Android-like app drawer, home screen pages, pull-down notification panel, widgets, and more. Even the button configuration i.e., Menu, Home, and Back buttons, is the same as many Android Samsung phones. While it mostly looks and works like Android, Tizen does differ from Google's mobile OS in certain aspects. For example, widgets are resizable; shrinking one to a 1x1 square turns it into an icon, and expanding an icon to a 2x2 square turns it into a widget. Recent applications are displayed in a paginated grid instead of a scrolling list, and you have to press a minus sign to get rid of an app, instead of swiping the thumbnail away. Individual notifications are presented as a two-wide grid of squares, and not as a list. The prototype phone also contained YouTube and Google Search icons, but were only links to the mobile sites. From a developer standpoint, any prior experience with Android apps won't help much here, as only either native C++ or HTML5 can be used. And that just might be the biggest problem for Tizen. With no app support why would anyone pick it over Android? And if no one is willing to buy it, why would developers build apps for Tizen? It's a classic chicken-and-egg problem and one that Windows Phone is still struggling to overcome. Nevertheless, Samsung's push for Tizen suggests the company doesn't want to be bound to whichever direction Google takes Android in and have to deal with its extensive rules and restrictions.